What is the Magician Archetype and Its Primary Functions? What Do You Think About the Magician Archetype? An archetype is a collection of patterns: thoughts, feelings, images, and behaviors. There are many different archetypes active in our psyche, but few hold such importance and dominance as the Magician. The Magician is the bearer of knowledge both ancient and new. 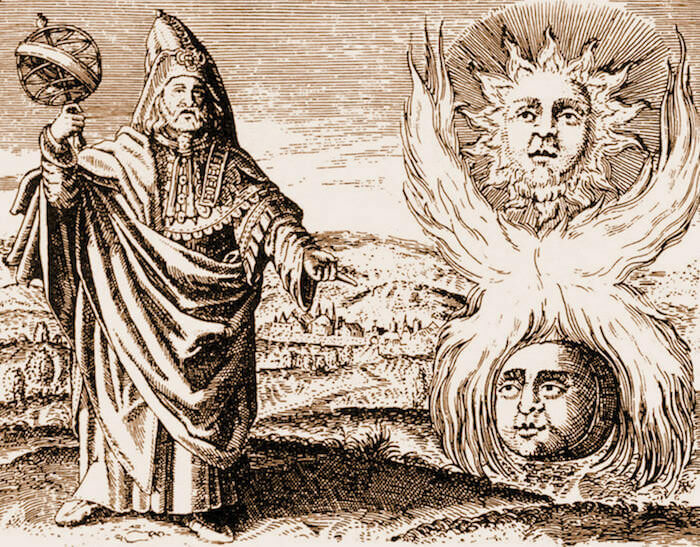 The Magician archetype is synonymous with cognition. In his fullest, the Magician is wise, thoughtful, reflective, healing, contemplative, and transformative. As a master of technology, the Magician knows how to manipulate the elements. And as such, he possesses great power to create. The primary role of the Magician archetype is to contain and channel power for the good of all. When humans access the Magician in its full glory, society prospers. When we fail to align with the Magician, accessing its shadow instead, society slips into chaos. The same is true for the individual. In The Hero with a Thousand Faces, Joseph Campbell called the Magician archetype “the mentor with supernatural aid” and illustrated how this character appears in every hero’s journey. Neo had Morpheus. King Arthur had Merlin. Harry Potter had Dumbledore. Luke Skywalker had Obi-wan and Yoda. And every tribe of old had a shaman or medicine man. The Magician plays the vital role of the ritual elder who blesses the younger generation, allowing them to mature into manhood (which is the function of the hero’s journey). And as Moore and Gillette point out, the ritual elder is mostly absent in modern society. And the lack of ritual elders is part of the cause of our current crisis in masculinity. A Note About Gender: Moore and Gillette’s work focus on masculine psychology, but in many ways, their model extends to the feminine as well. In the case of the Magician archetype, any woman accessing her cognitive line of intelligence is also tapping into Magician energy. 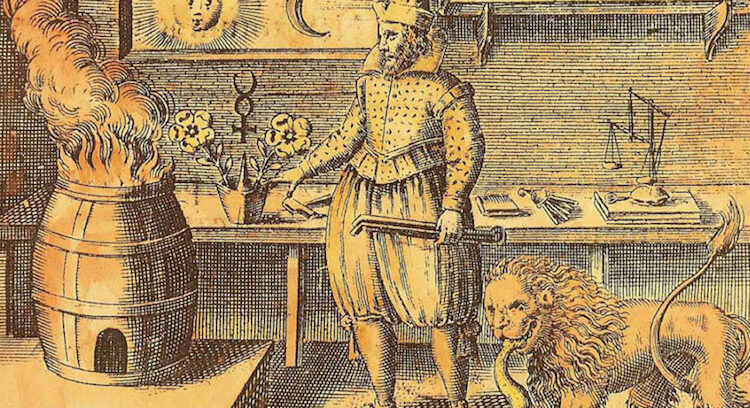 Inventions, discoveries, technology, language, mathematics, engineering, astronomy, chemistry, physics, law, medicine, and other sciences, all fall within the Magician’s domain. All knowledge that requires specialized training to acquire derives from Magician energy. The Magician archetype is an initiate of hidden knowledge of all varieties. And as such, he is an initiator for others. The Magician takes students, apprentices, or disciples. All students studying in any field are apprentice shamans or Magicians-in-training. As an apprentice, you undergo an ordeal by investing large amounts of time, energy, and money studying and testing your capabilities to become a master of the Magician’s powers. And, as in any hero’s quest, there’s no guarantee that you’ll succeed. When people have questions, problems, and pains, they seek the Magician for resolution. King Arthur wasn’t the only king with a Merlin. 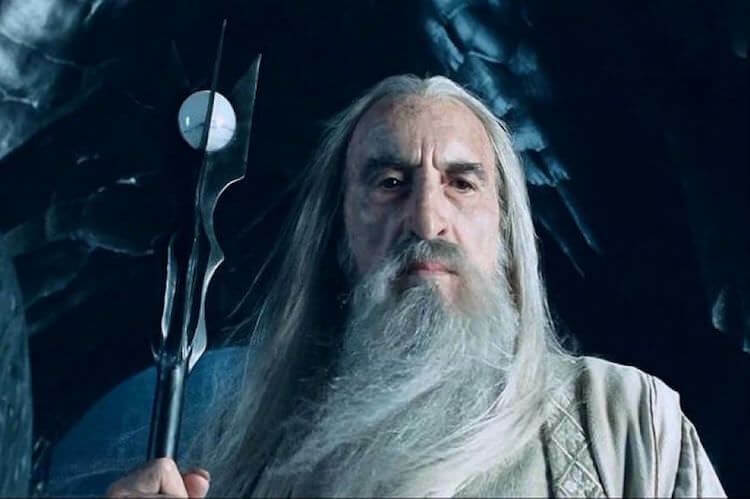 Kings always had a wizard, magician, mage, or seer by his side. The Magician was the king’s strategist, helping him think things through to a just end. But more than that, the Magician was able to reawaken the conscience and good sense of the ruler. The Magician played the role of a kind of royal psychotherapist, keeping the ruler’s arrogance in check. The Roman emperors who failed to take the counsel of the Magician became tyrannical dictators. And the tyrant’s hubris (outrageous arrogance) eventually led to the fall of Rome. With the power to create worlds also comes its opposite: the ability to manipulate and destroy them. In modern society, it is more often than not, the Magician’s shadows that operate in individuals with power over others. And so, the most significant lessons we can learn about the Magician archetype comes from taking a closer look at its shadow. For until we do, both individually and collectively, this shadow will continue to rule us from the darkness of our unconscious. 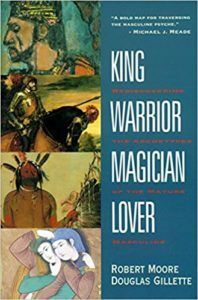 In neo-Jungian Robert Moore’s model, like all the archetypes, the Magician has a bi-polar shadow with an active and passive side. The active side is called the Detached Manipulator, and the passive side is the “Denying” Innocent One. The Detached Manipulator is the Trickster archetype. Because the Magician is the bearer of knowledge, when left unchecked, it can use this knowledge to control others. The primary way the Trickster manipulates others isn’t necessarily by lying (although it does that too), but by withholding. That is, the Detached Manipulator will give half-truths, withholding vital information others may need for their wellbeing. The Architect in the second Matrix film, The Matrix Reloaded, is the quintessential Detached Manipulator. Disconnected from nature, feelings, and emotions, the Detached Manipulator is cold, calculating, cynical, and soulless. Modern society is mostly run by the Manipulator. Instead of using its knowledge to serve others, the cynical manipulator mainly profits from them. A primary trigger for the Detached Manipulator is money. Whenever money is involved in an exchange, there’s a good chance the Manipulator is at work. The Detached Manipulator runs most governments. The entire advertising industry is the Manipulator’s game. In fact, so is the fashion, pharmaceutical, counseling, education, self-help, and countless other industries. This Trickster archetype is one of the most common forces in society, and yet its stealth nature allows him to operate within society and ourselves unchecked and unnoticed. Anyone in a teaching role or position of authority (including parents) must remain mindful of the Manipulator. Also, when the Trickster in us manipulates another, he also damages us. And when there’s no one around to trick, this detached archetypes focuses his energy on manipulating us. The passive side of the Magician’s shadow is the “Denying” Innocent One. While the Detached Manipulator plays the perpetrator, the Innocent One plays the helpless victim. It is the Innocent One that keeps us from opening our eyes and seeing Reality more clearly. The Innocent One believes it is a good person and so we bury our head in the sand to avoid owning the destructive manipulation game our dark brother is playing. Parents unconsciously activate this shadow in their children by praising them. Praise doesn’t just stall growth and limit our potential; it instills a false identity and illusory self-image in children that plague them into adulthood. It’s the so-called innocence and false goodness of spiritual teachers and religious authorities that leads to the manipulation of millions of individuals every day. While greed and lust for power mainly motivate the Manipulator, envy fuels the Innocent One. The Innocent One envies the lives of others and their drive to share. Simultaneously, the Innocent One fears others will discover his lifelessness and lack of responsibility. Thinking types in Myers-Briggs and Types 5, 6, 7 in the Enneagram are arguably the most prone to the Magician’s shadow. But modern society is dominated by what the Jungians call the thinking function. We all tend to have a bias toward the mind and cognition. After all, this is the technological or information age. Because of the bi-polar nature of this shadow archetype, the Detached Manipulator and the Denying Innocent One always go hand-in-hand. Another way of explaining this bi-polar nature is through inflation and deflation. An inflated ego that feels superior to others is accessing the Detached Manipulator. The Innocent One is a deflated ego who secretly feels inferior to others. The key to catching the Manipulator-Innocent One game is self-honesty. These shadows maintain their dominance until we call them out, which requires self-reflection and a willingness to look beyond our self-identity. Remember: It’s not a question of whether or not we get possessed by these shadow archetypes, but to what degree. It’s only through self-reflection and self-awareness that we can bring these shadows to light. The Trickster archetype is a prevalent force in our psyche because of our dishonesty and disconnection from our feelings. Detachment from emotions and the physical body tends to trigger the manipulation game. Because of our bias toward thinking and the mind, the fast track to accessing the Magician archetype is through the body and the heart. Drawing excess energy from the mind to the heart and gut regions, allows us to integrate the Magician energy constructively without succumbing to its shadow (as often). By holding to our Center, we naturally access the Magician’s energy. When we fall out of Center, the shadows take over. This occurs every time we move too fast and we cut ourselves off from our feelings. And when we live in our minds, the Manipulator and the Innocent One are likely in charge. Reforge your connection to your body and nature: ground yourself and breathe like a Jedi. Realign your body’s energy system: find your Center and stand like a tree. Reclaim your power that you were tricked into handing over to others: reclaim your inner gold. Connect with your emotional body and contain your emotions: cultivate self-leadership and self-awareness. Create your own inner world: activate your imagination and dialogue with the archetypes in your psyche. Accept responsibility for your outer world. Confront your shadow and be honest with yourself. Bring the Magician into its full glory by integrating body, mind, heart, and soul. Please share your thoughts, questions, and feedback below. Indeed, Frank. The Trickster has duped us all … many times. We’ve become so conditioned to lie to ourselves since childhood that we don’t even know we’re doing it anymore. Thanks for the comment. Ahhhhhhh…Self-honesty. Been working on this one and grateful for the insight this post has provided. I’m done hiding from myself. I’m glad you found this guide insightful, Dan. Thanks for your comments. Isn’t it amazing how skillful we are at hiding from ourselves? Wow, this resonated so much. I’m working on my business that is defined as The Magician within the branding and on tests have identified with the Trickster shadow. Very interesting to see how the two correlate and great advice for my marketing and to keep my brand and myself in check! Thank you!